New research has shown that 7% of UK adults rent out a property to supplement their income. 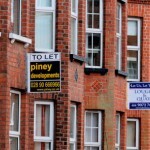 Although doing to provides a steady source of revenue, insurers have warned that many part-time landlords are not following all of the regulations required by the law. Insurance group LV= has warned that this boom may have unintended consequences, and warns potential landlords that they have a responsibility to ensure rental properties are in a good state of repair and are sufficiently insured. LV='s findings revealed that over 400,000 landlords do not have the appropriate insurance in place, and 500,000 landlords have not had their rental properties checked by a gas safety engineer in the last twelve months, putting their tenants' safety at risk. Such shortcomings mean that landlords could face a large bill if one of their clients makes a claim against them, as a result of the condition of the property.